This is very difficult to write about. 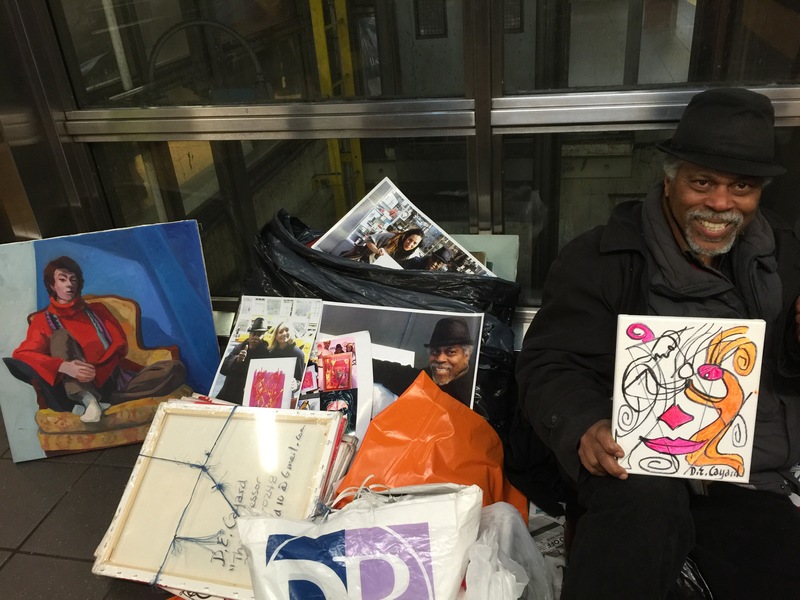 A fellow artist in the NYC Subway platform surrounded by his artwork. I didn’t notice the whole picture and just quickly dismissed him as a general homeless man. Then I really looked and felt my gut clench because I was staring at the true “starving artist “. I had a moment of fear and didn’t want to see this. It was painful. It could be me!! And let me tell you some months cash flow is not plentiful. But I was drawn to his art. He was good and had talent. 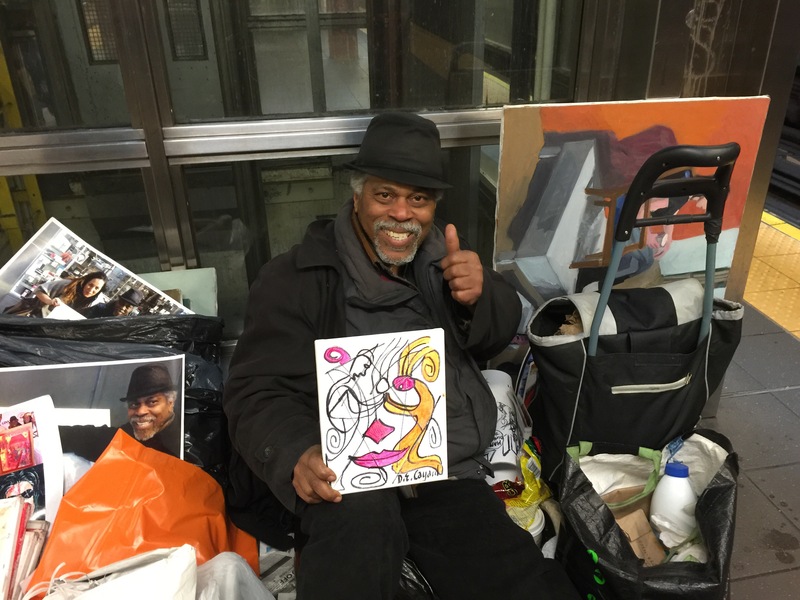 I fearlessly approached him and hoped I could tell him how good his art is. You never know if people are insane or if the art was stolen. 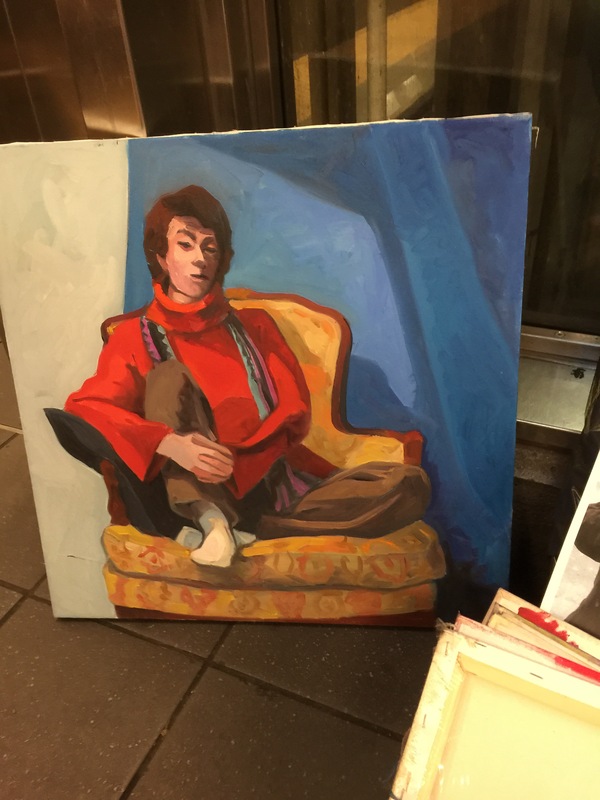 What followed was the most engaging conversation with a talented fellow artist on hard times. At one time he was successful in Florida. He had traveled all over the world doing art. Studied at the National Academy of Art. This was a man on hard times showing his work no matter what. He wasn’t complaining about his situation. He wasn’t asking for MONEY. 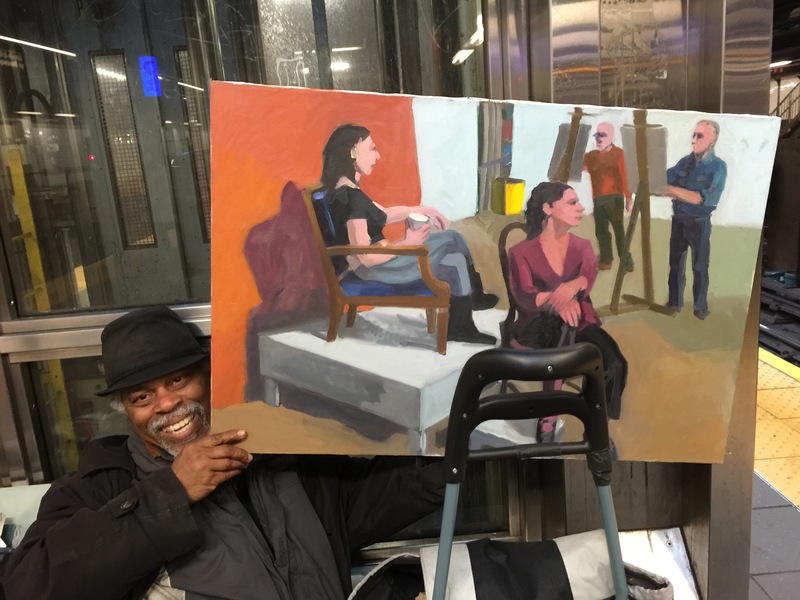 He was a very happy man sketching in the subway engaged in creating. I am blessed to have met this fellow artist. The train came and we shook hands good bye. I felt D. E. Gayard was a true fearless artist. He blessed me that day. The only gift I can give this artist is to celebrate him on my blog and tell my followers and the internet world of his existence in the world of art. Please pass this post to everyone you know. Spread the name and art of D. E. Gayard. Don’t let this special artist fall through the cracks of anonymity. Very moving post, Jean. And what a talent.